Just over 16 months have passed since comedian and actor Tracy Morgan was critically injured in a car crash in June 2014. 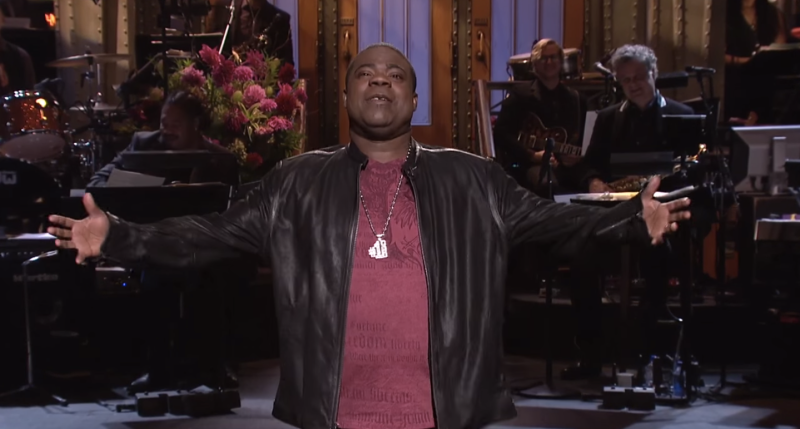 Now, in his first live television appearance since the incident, the former cast member returned to Saturday Night Live to show that he’s on the mend. Morgan joined Tina Fey, Alec Baldwin, Jane Krakowski and Jack McBrayer in a 30 Rock skit during his opening monologue, which managed to reference both Skrillex and narwhals in one go.